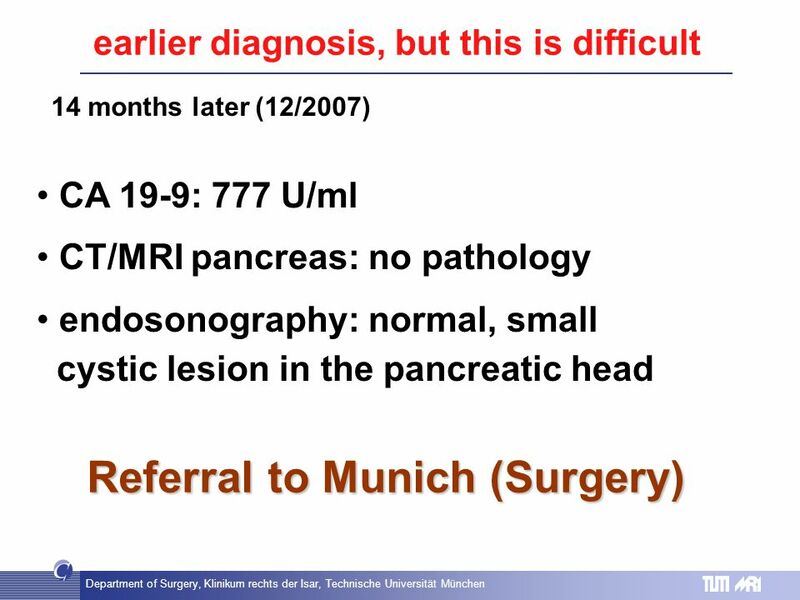 8 Department of Surgery, Klinikum rechts der Isar, Technische Universität München Department of Surgery Klinikum rechts der Isar Technische Universität München What is the reality in pancreatic cancer surgery?? 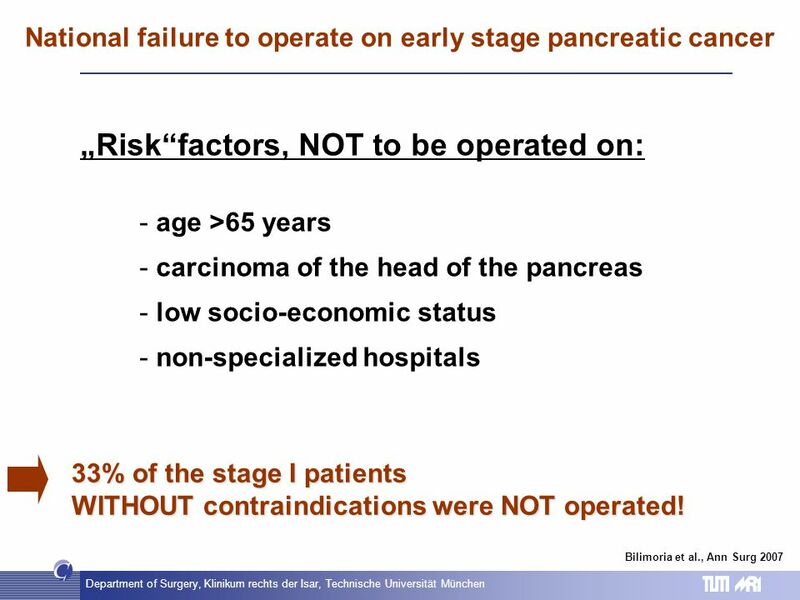 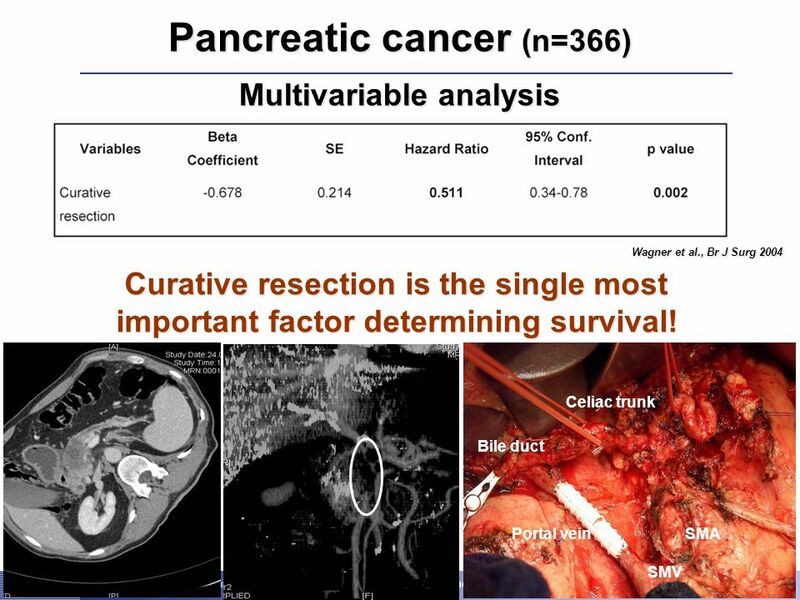 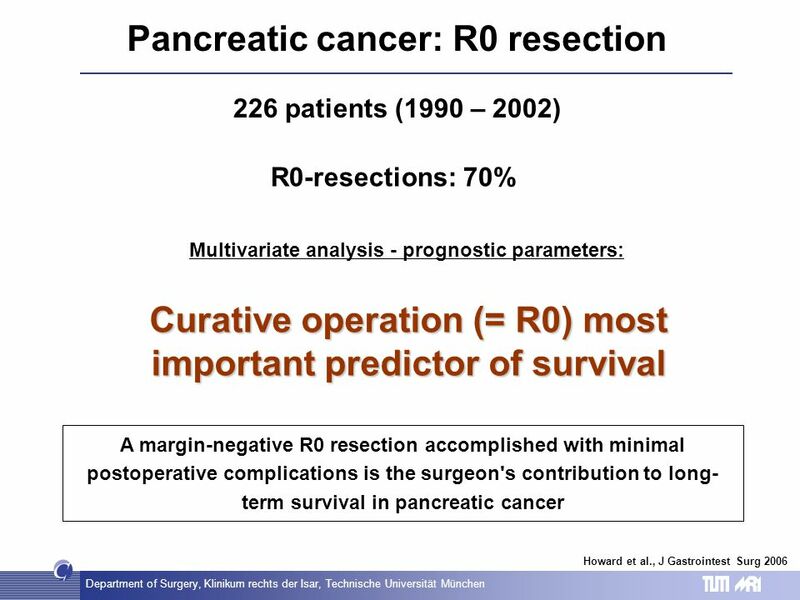 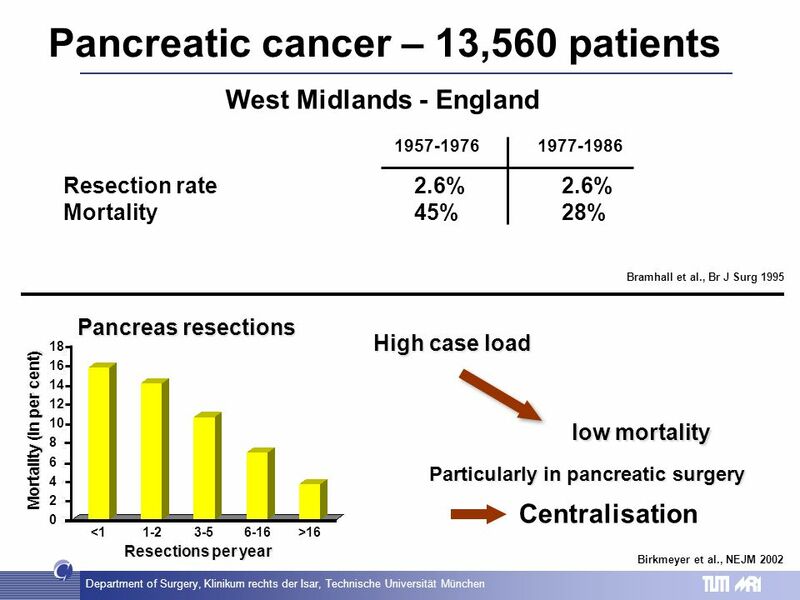 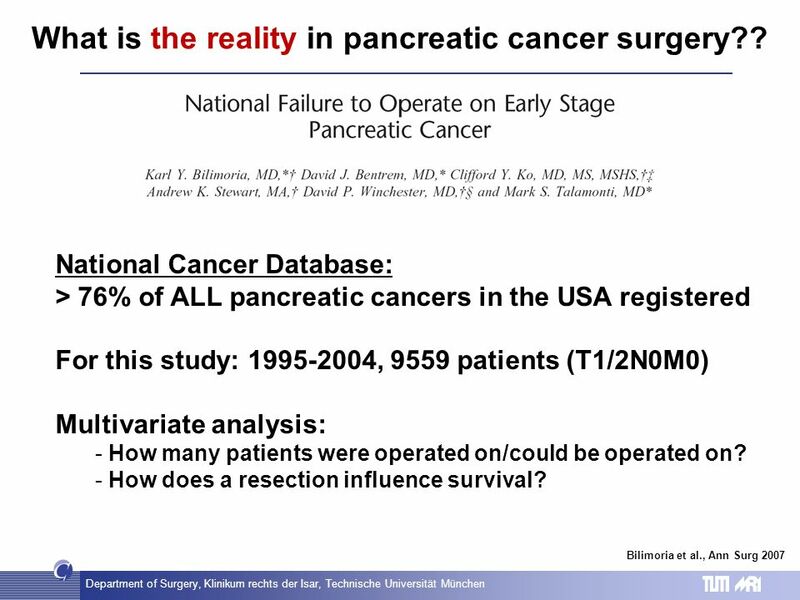 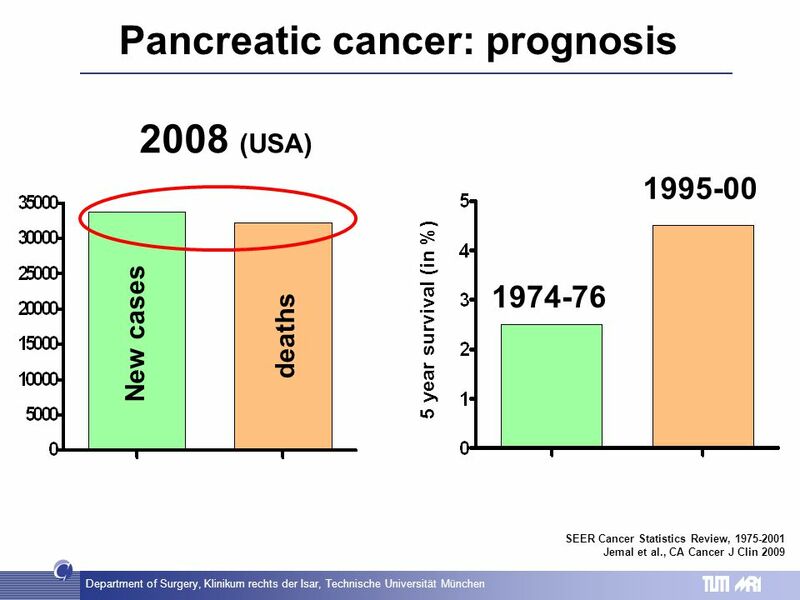 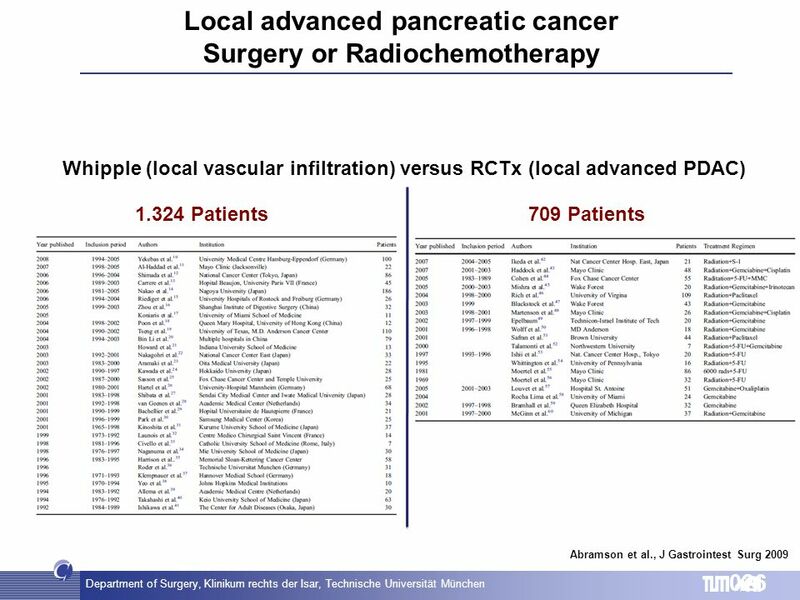 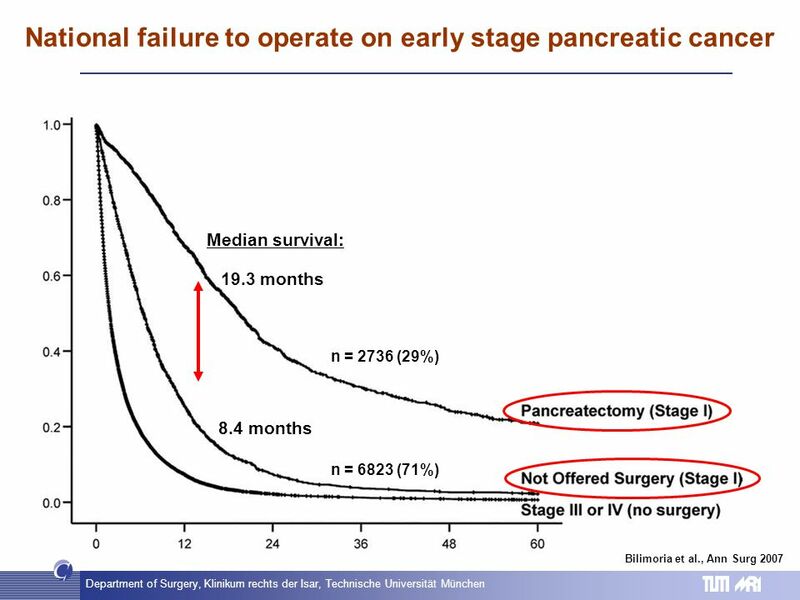 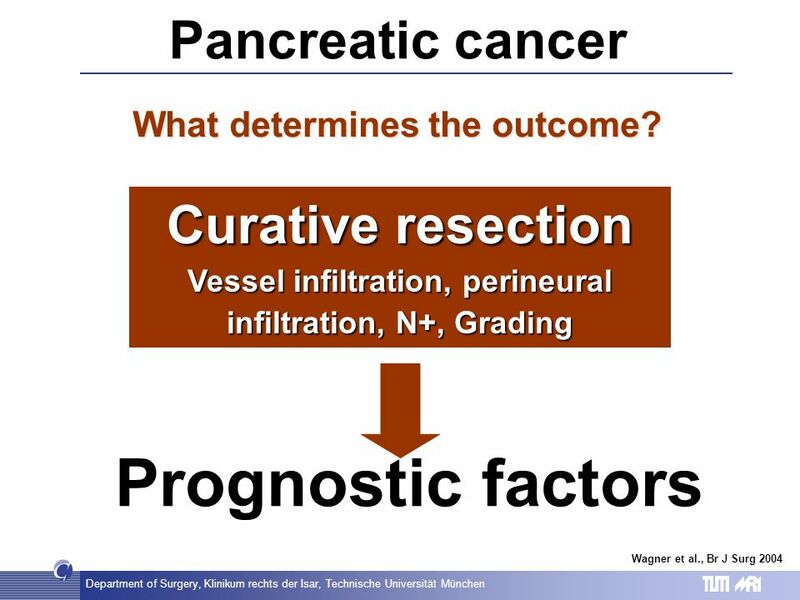 Bilimoria et al., Ann Surg 2007 National Cancer Database: > 76% of ALL pancreatic cancers in the USA registered For this study: 1995-2004, 9559 patients (T1/2N0M0) Multivariate analysis: - How many patients were operated on/could be operated on? 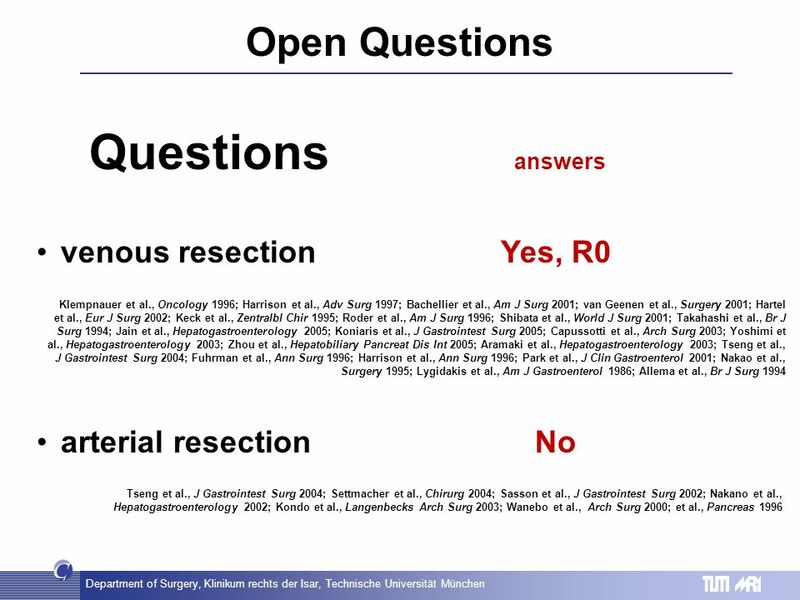 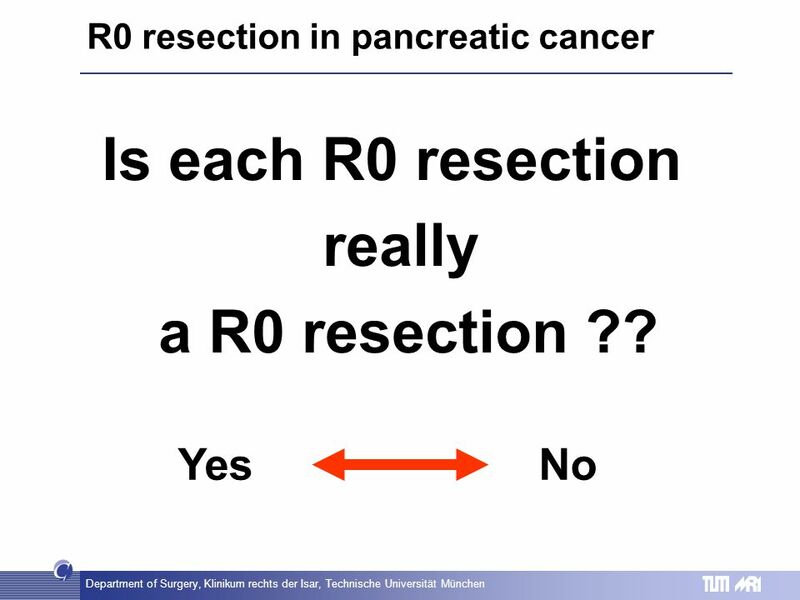 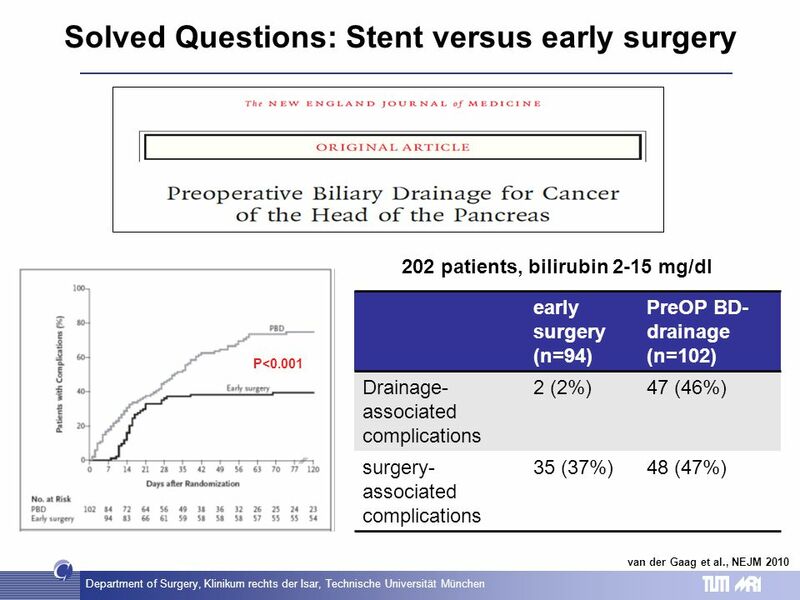 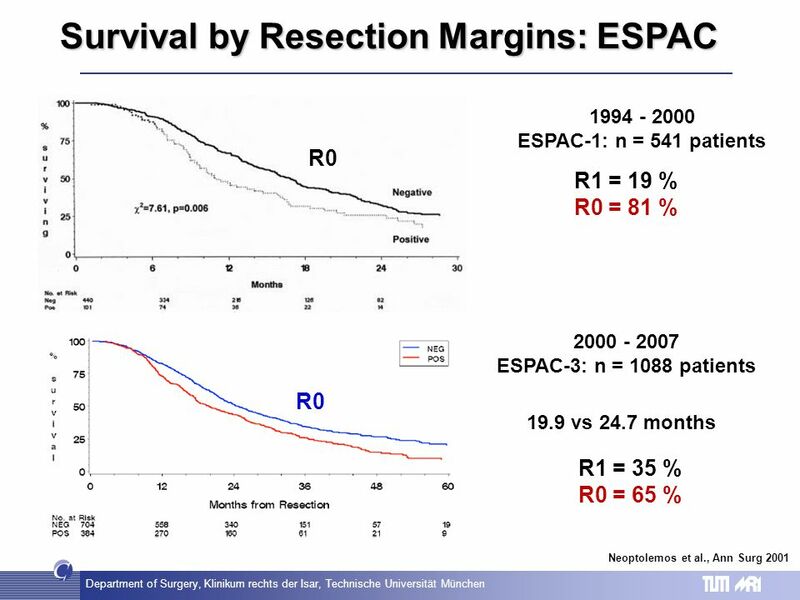 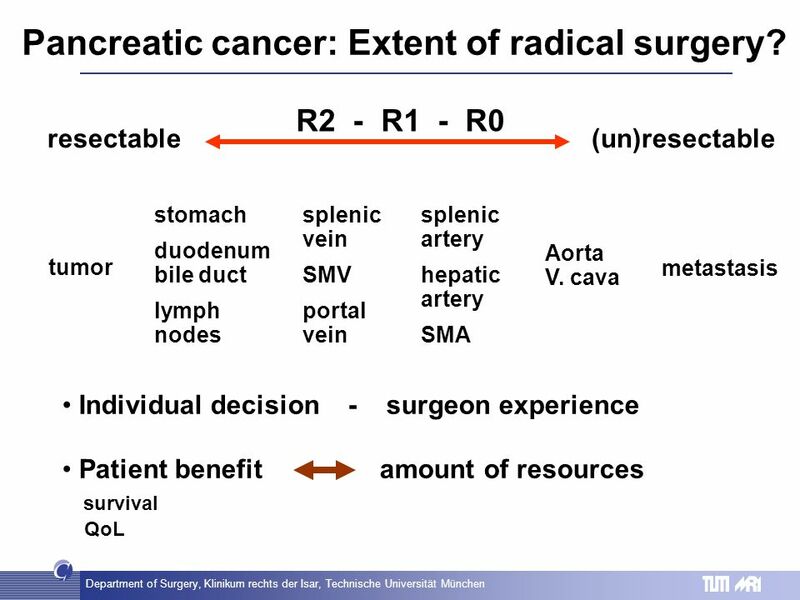 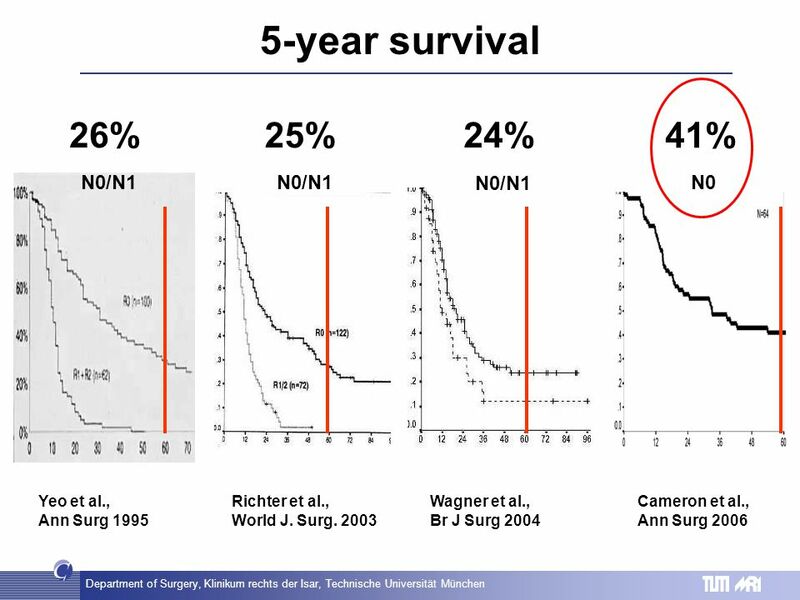 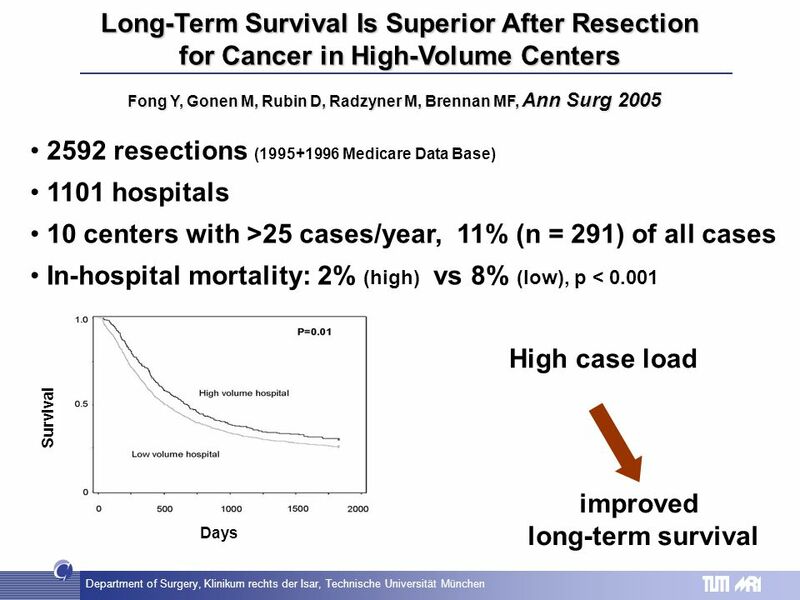 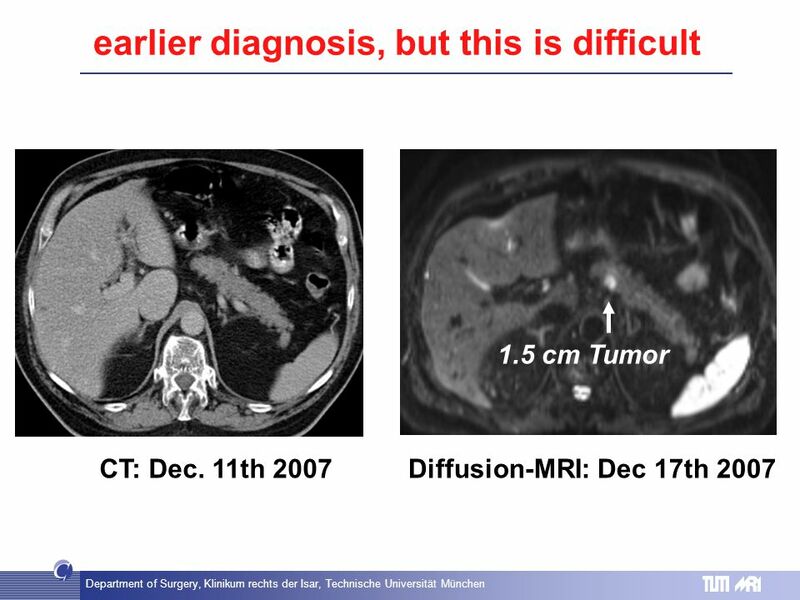 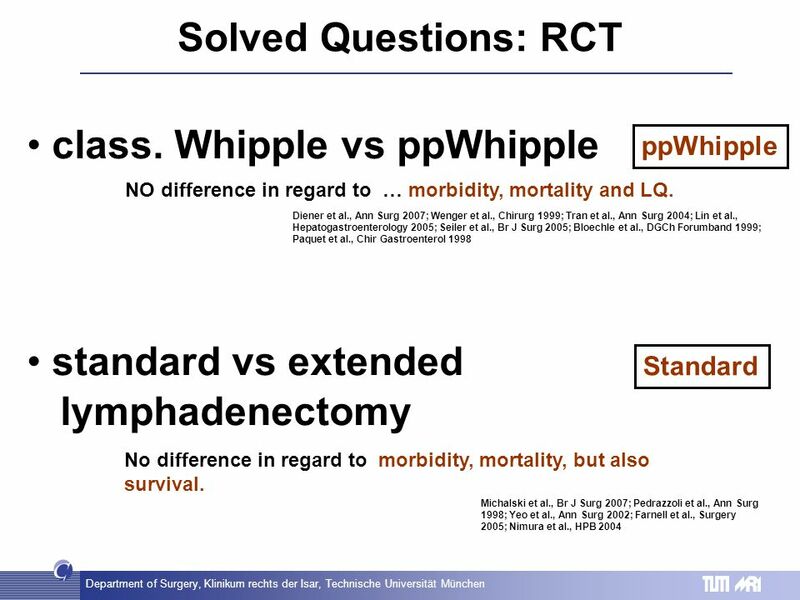 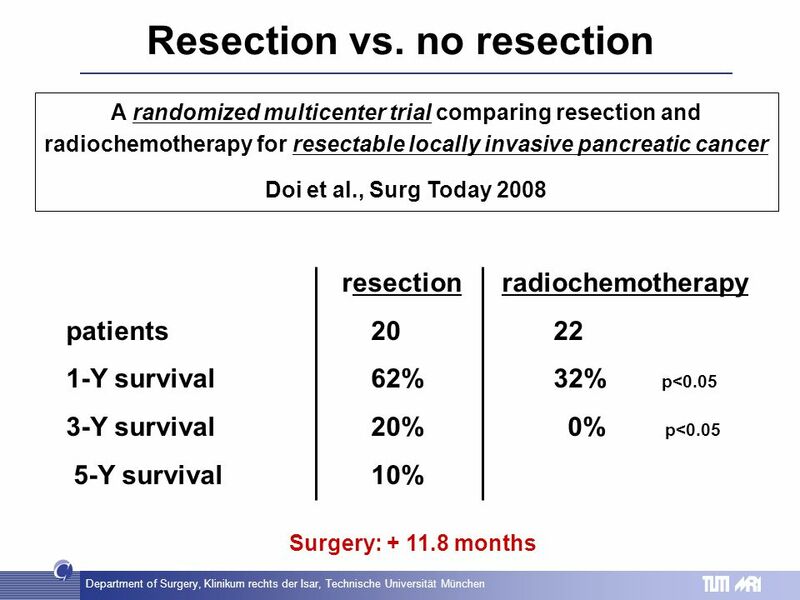 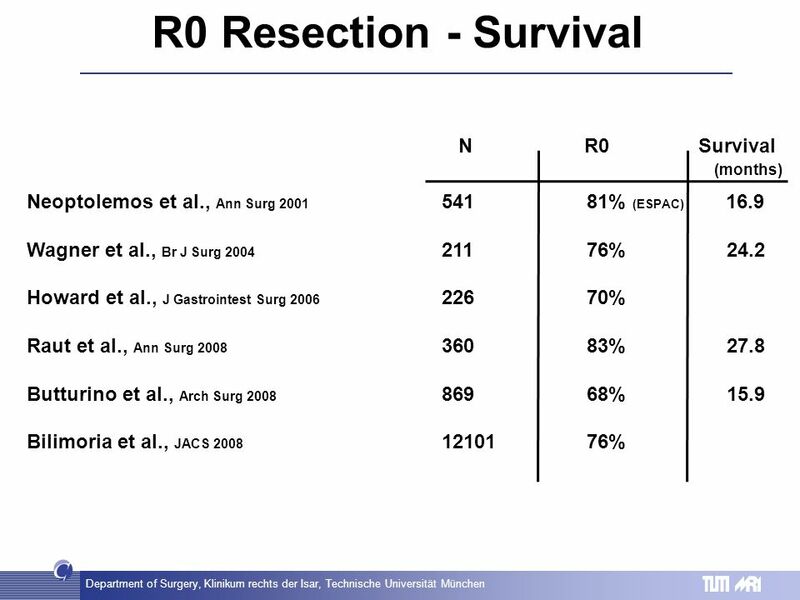 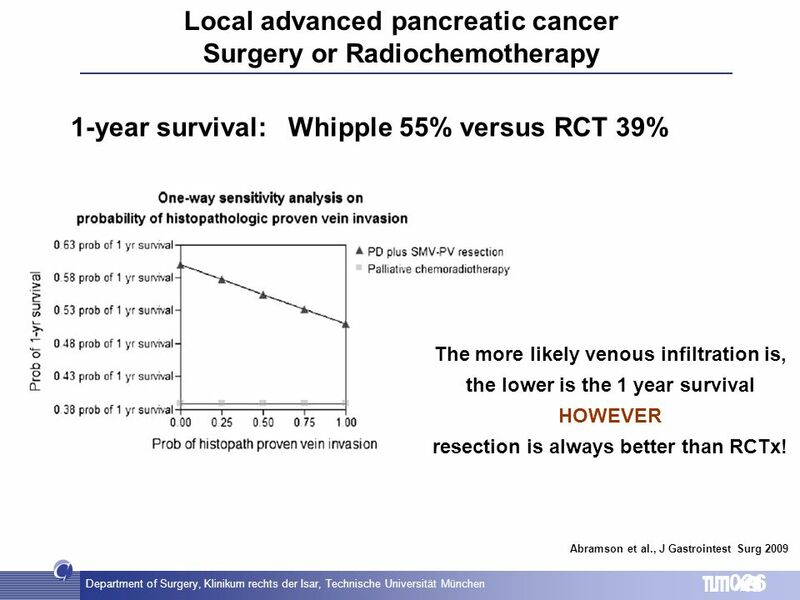 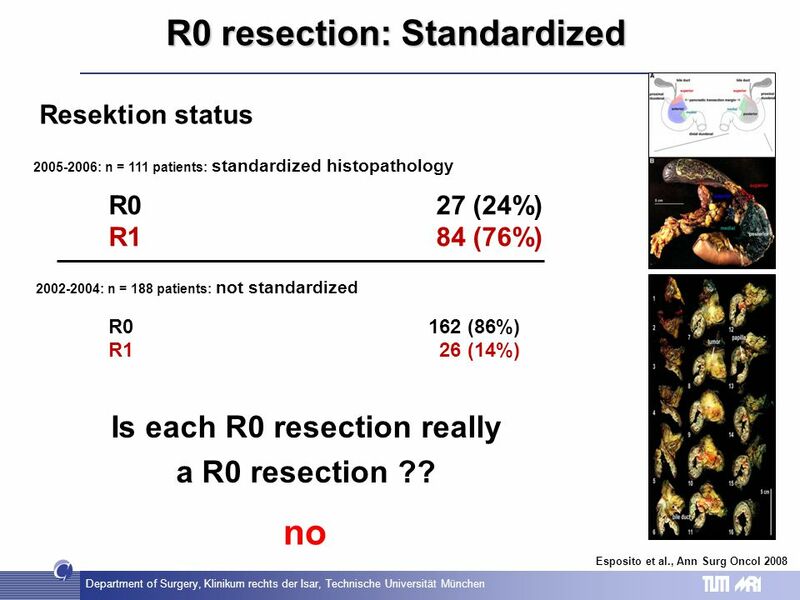 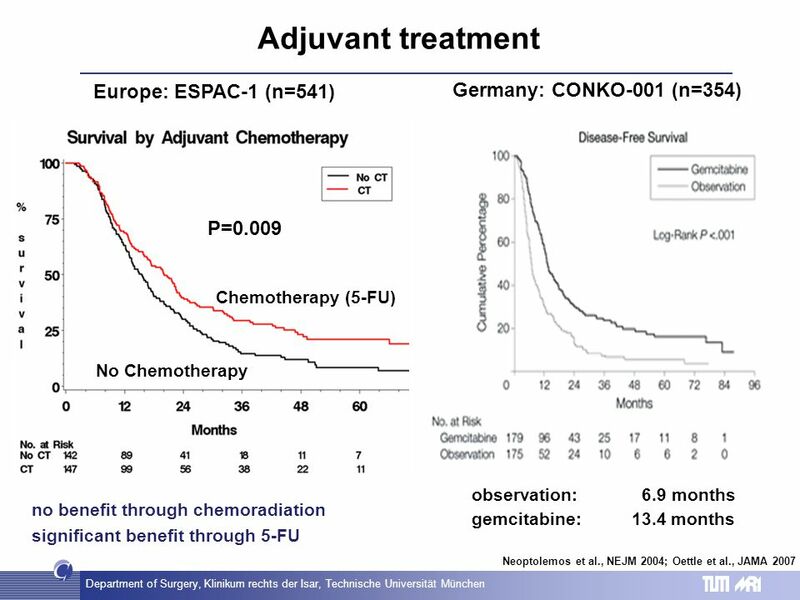 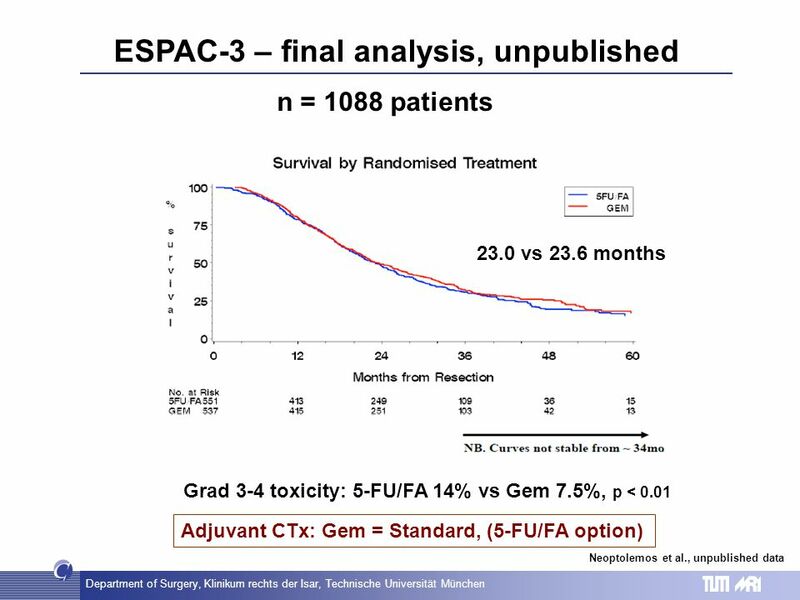 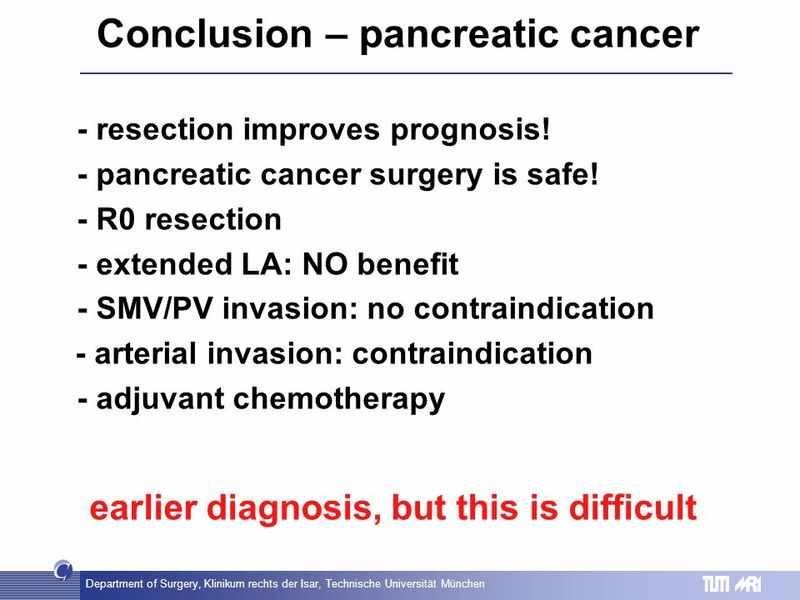 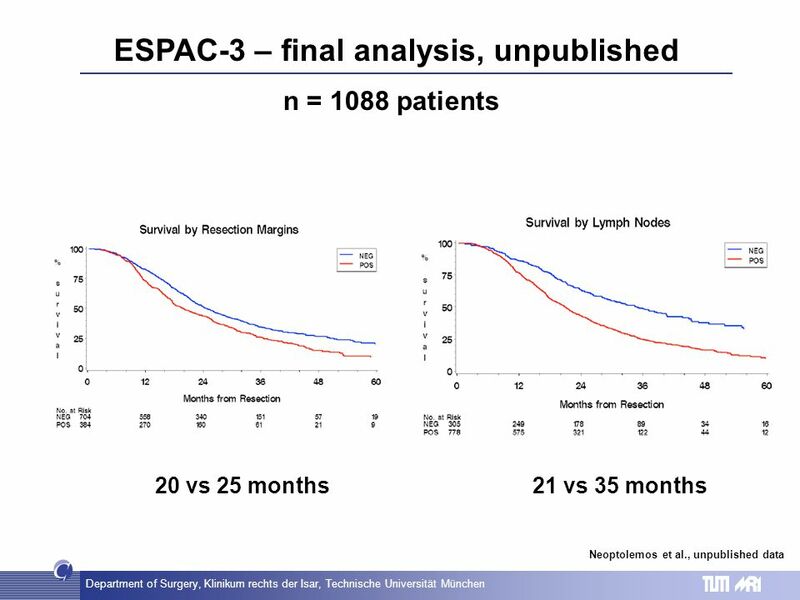 - How does a resection influence survival? 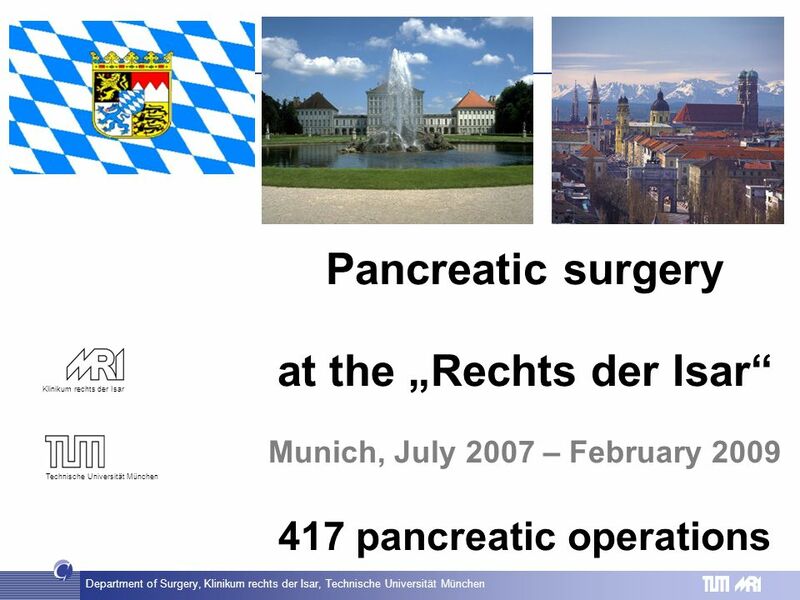 11 Department of Surgery, Klinikum rechts der Isar, Technische Universität München Department of Surgery Klinikum rechts der Isar Technische Universität München … too FEW, resectable patients are finally operated on! 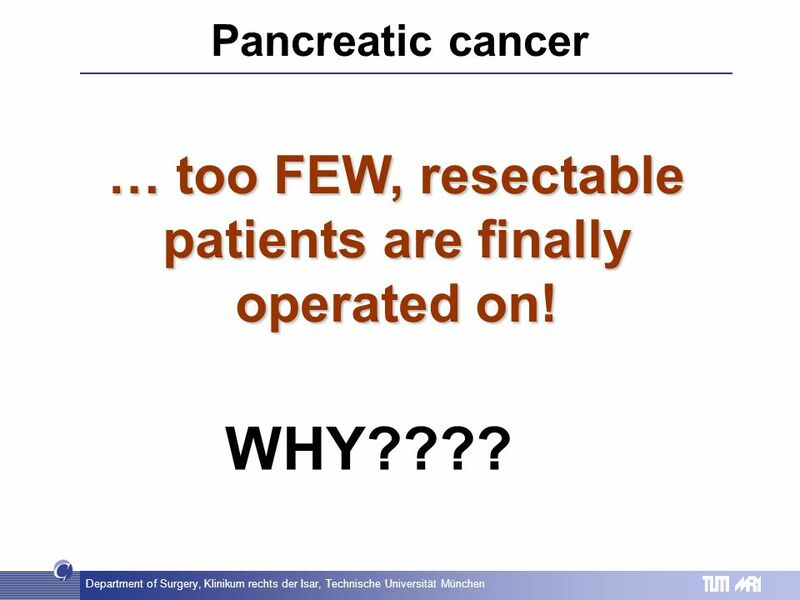 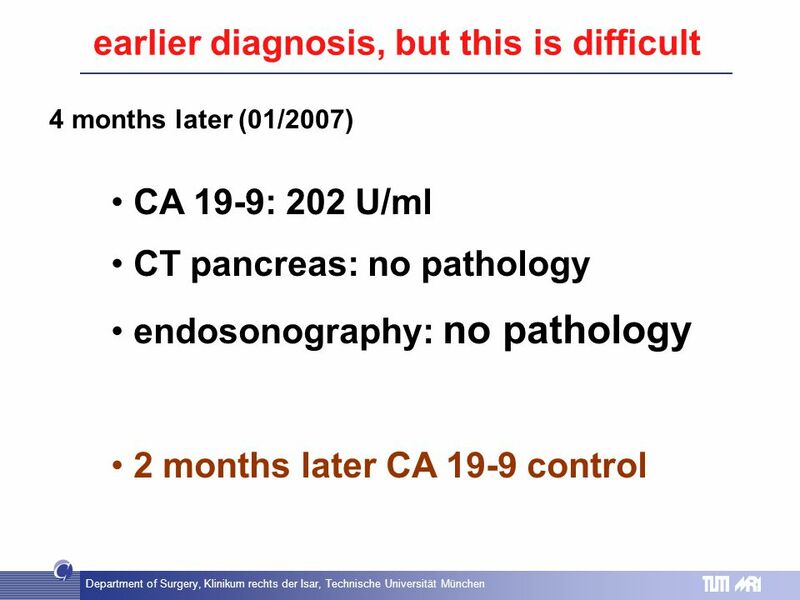 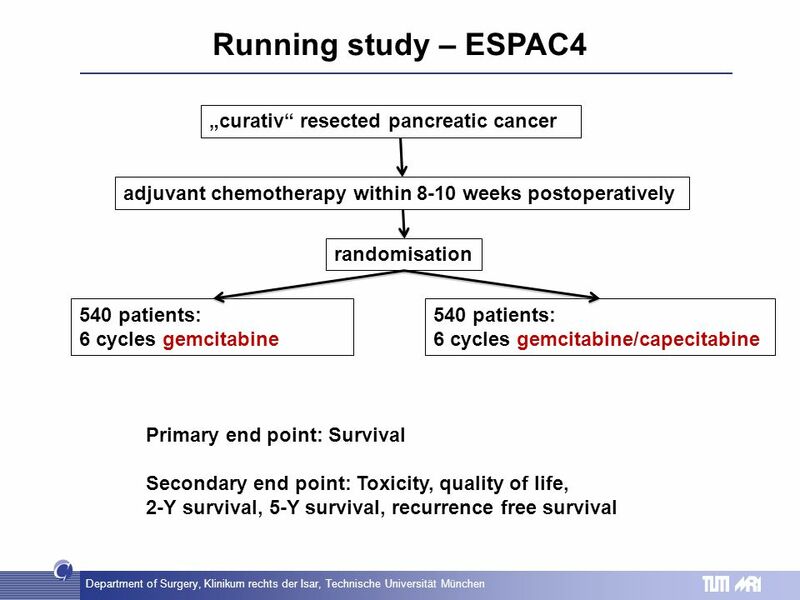 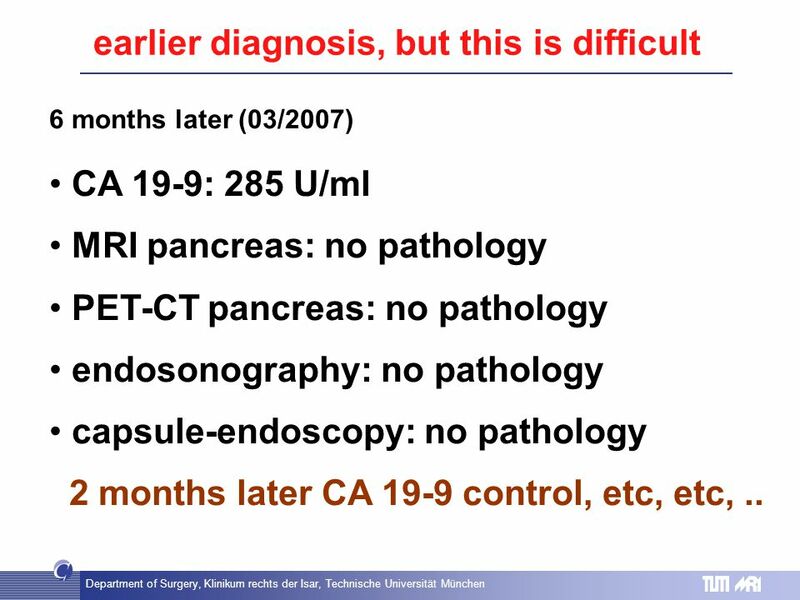 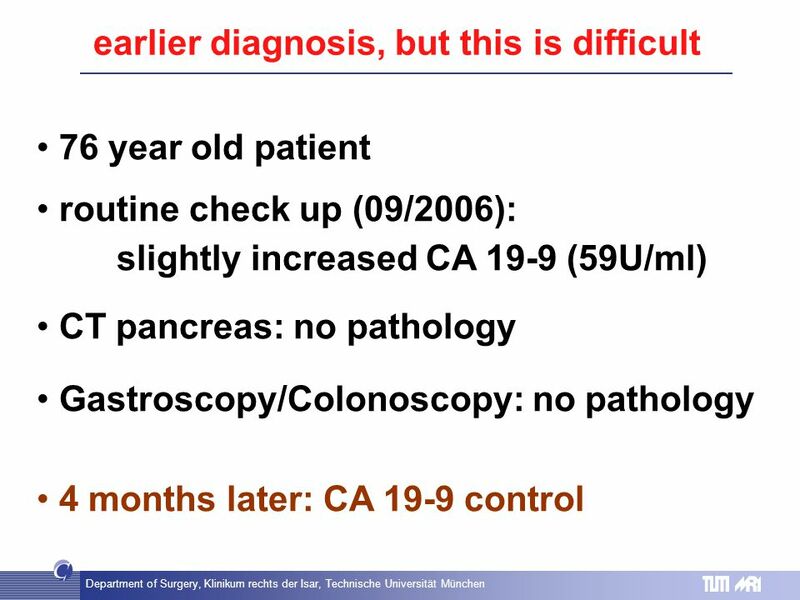 Pancreatic cancer WHY???? 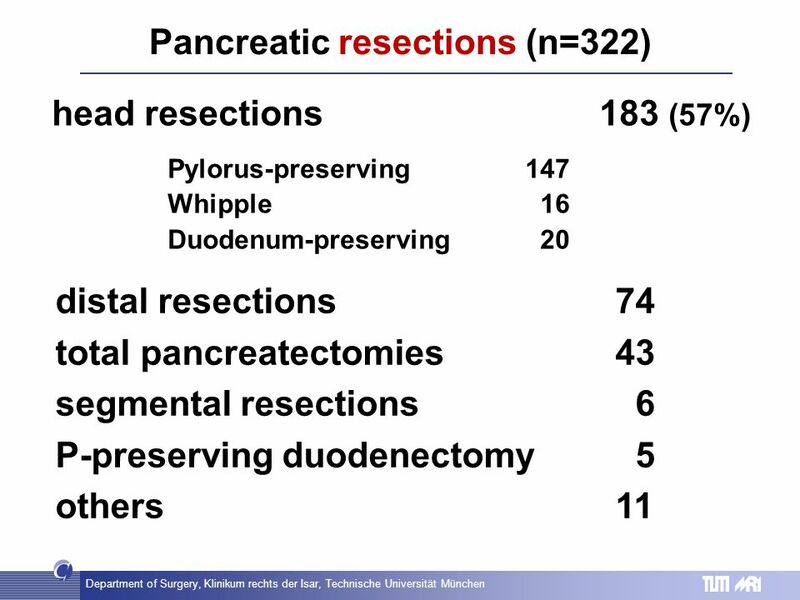 18 Department of Surgery, Klinikum rechts der Isar, Technische Universität München Department of Surgery Klinikum rechts der Isar Technische Universität München Curative resection Vessel infiltration, perineural infiltration, N+, Grading Prognostic factors Wagner et al., Br J Surg 2004 Pancreatic cancer What determines the outcome? 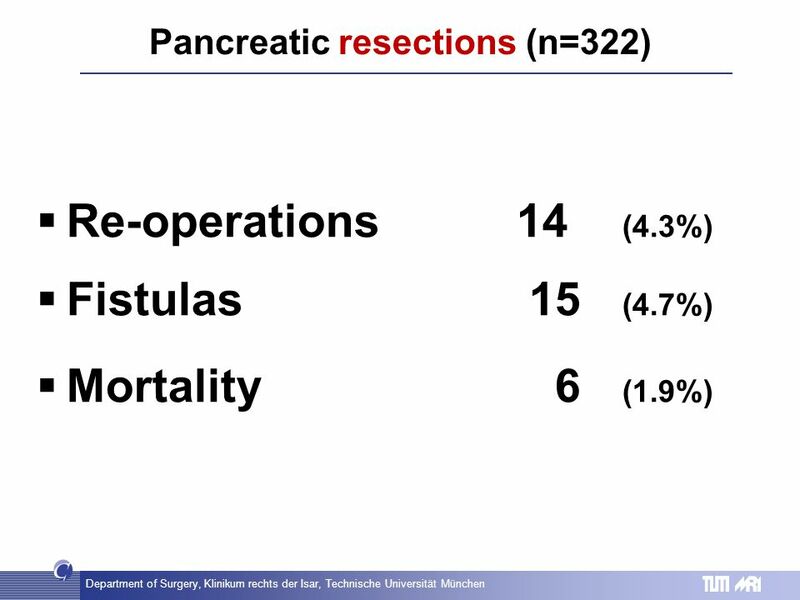 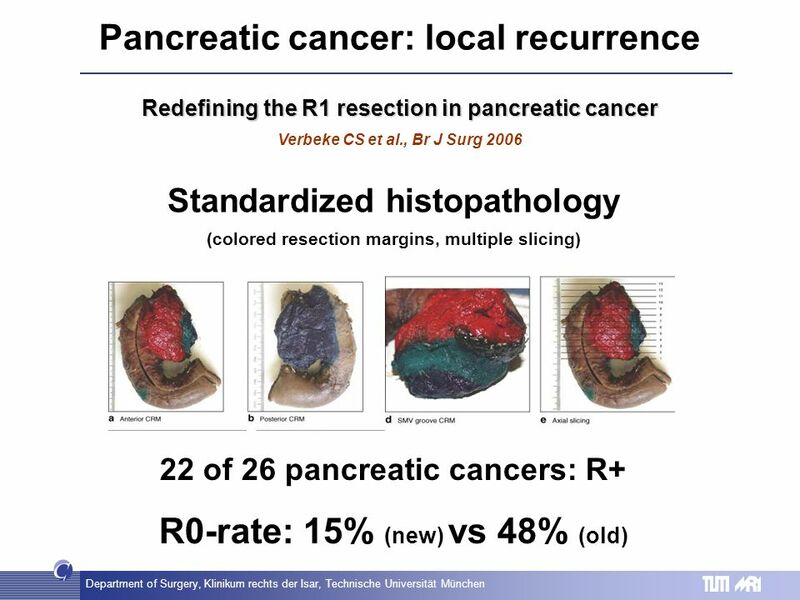 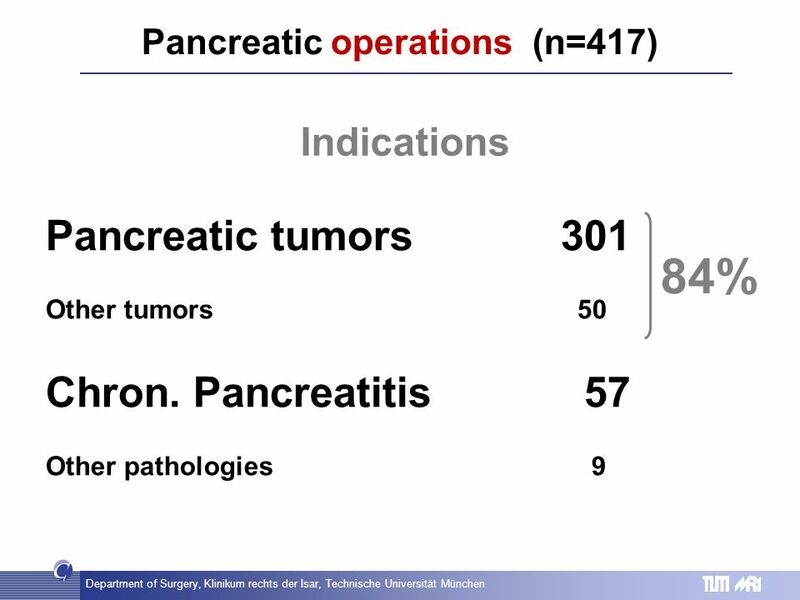 42 Department of Surgery, Klinikum rechts der Isar, Technische Universität München Department of Surgery Klinikum rechts der Isar Technische Universität München Case presentation – pancreatic cancer distal pancreatectomy with splenectomy histology: T1, N+ (!) 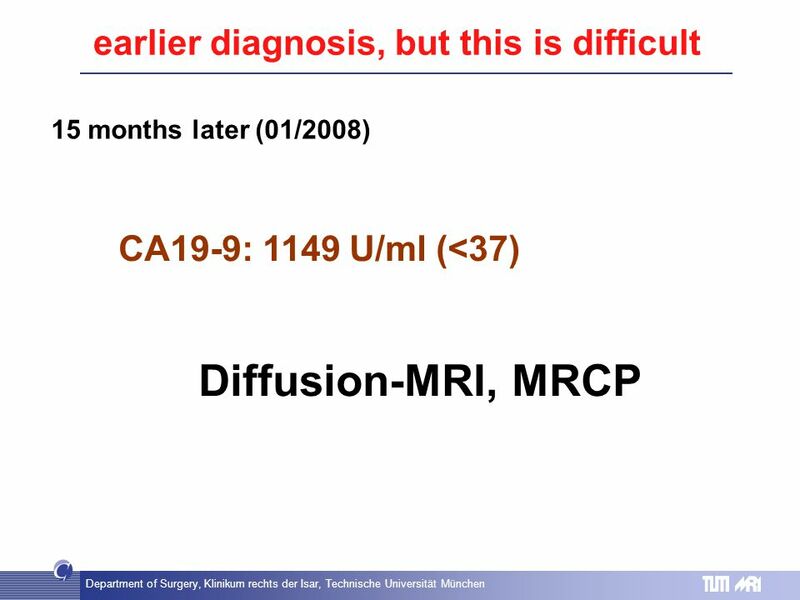 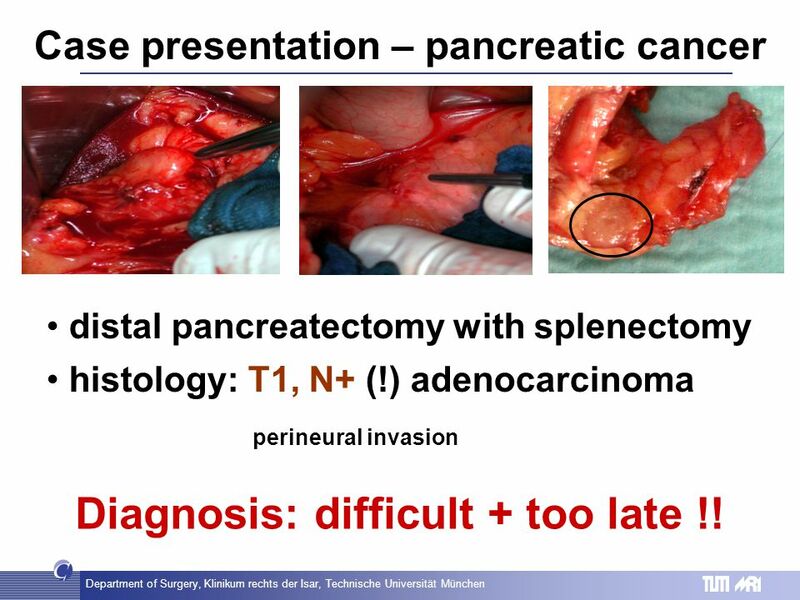 adenocarcinoma perineural invasion Diagnosis: difficult + too late !! 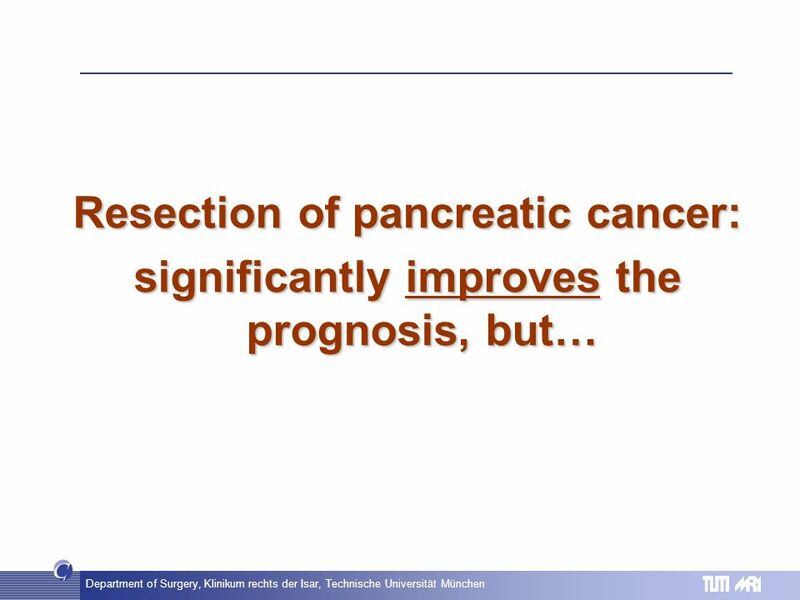 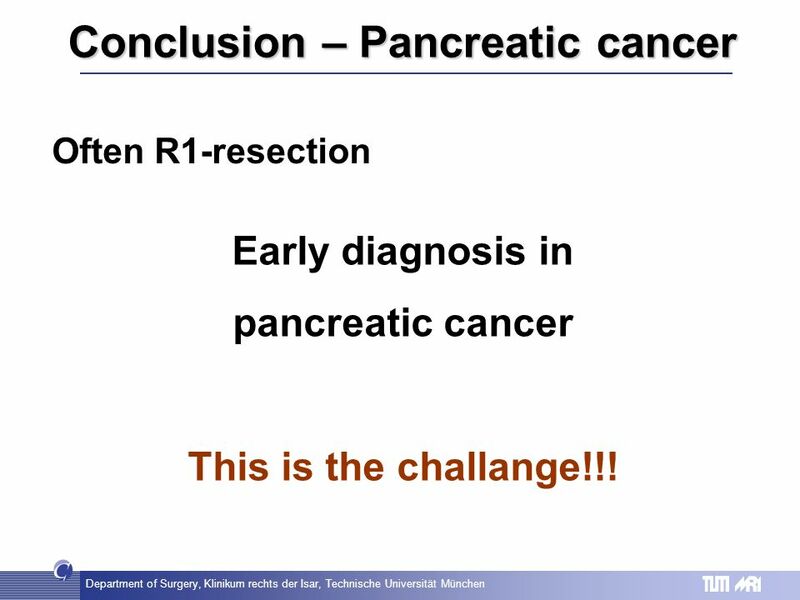 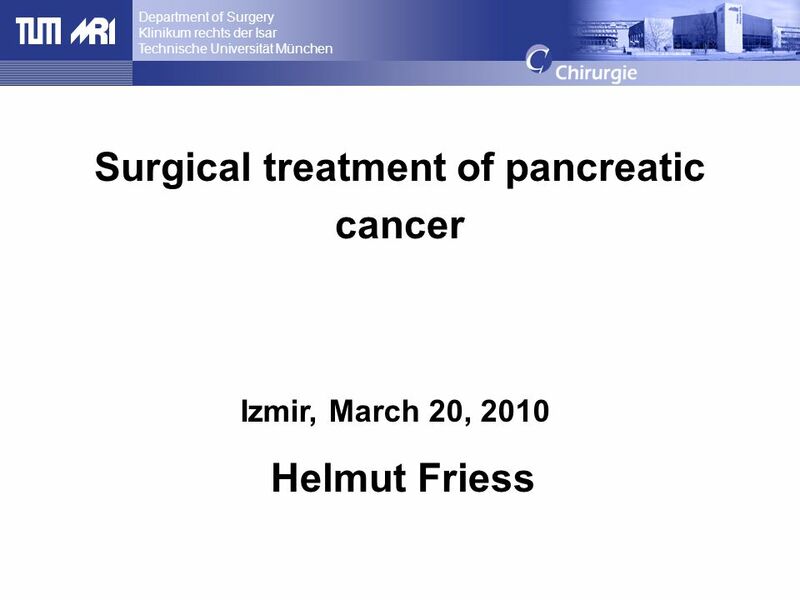 Herunterladen ppt "Department of Surgery Klinikum rechts der Isar Technische Universität München, Munich, Germany Surgical treatment of pancreatic cancer Helmut Friess Izmir,"
Prüfungen neu. 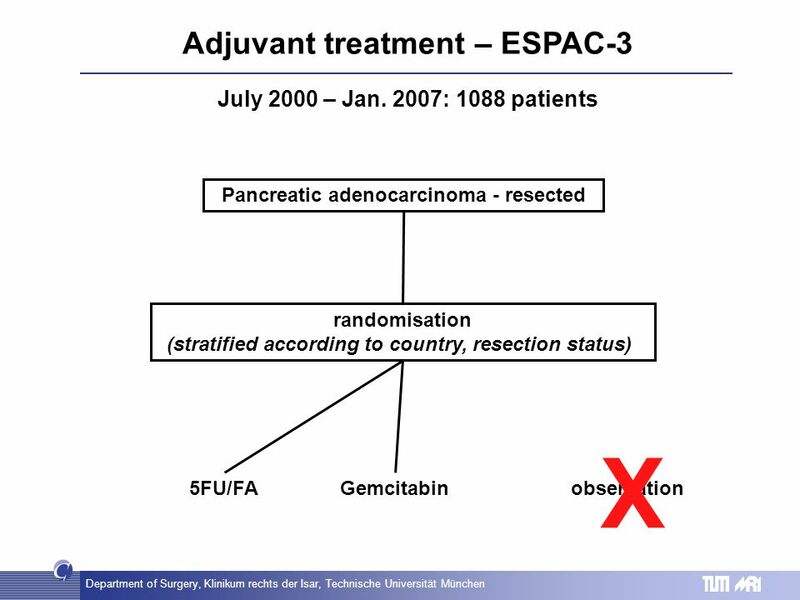 Änderungen Probesystem 4 Prüfungen pro Schuljahr Jeweils ganze Lektion, keine Fragemöglichkeit am Anfang der Prüfungslektion Taschenrechner.